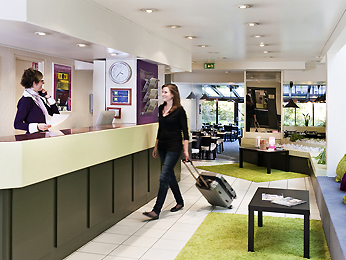 Located right beside the Paris Nord Villepinte Exhibition Center and its RER train station, on the outskirts of Paris and close to the Paris Roissy Charles De Gaulle and Bourget airports, the 3-star ibis Styles Parc des Expositions hotel welcomes you for business or family stays. We have 85 air-conditioned rooms, a seminar room, private car park and free WIFI. Enjoy a nice glass of wine at the bar, in our Courtepaille restaurant or on its lovely terrace.